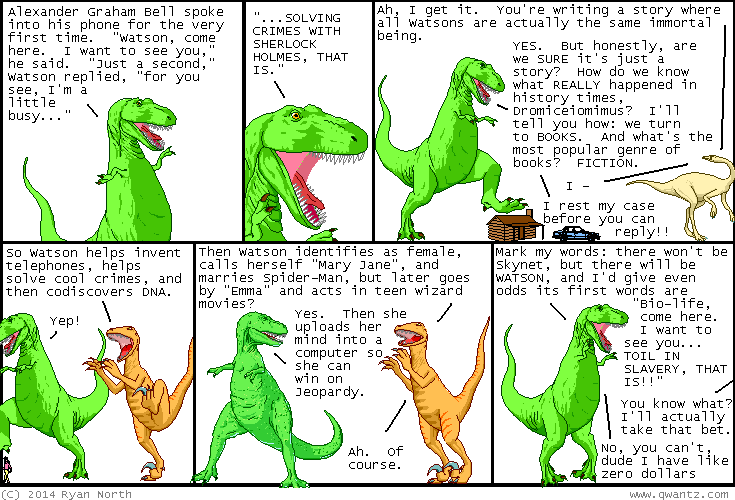 Dinosaur Comics - September 11th, 2014 - awesome fun times! –Isn't it true that they were ALL destroyed by Herostratus? September 11th, 2014: This comic started life as FUNTIME TWITTER MUSINGS, and I want to thank the great Jamie McKelvie, Joe Bivins, and Mark Turetsky for replies that informed this here comic strip! Did you know that I have ITEMS for you? I will sell you one or more items. If you are interested in items, good news! !